Dalton Schultz is a former star tight end for Stanford University, and was selected in the 4th round of the 2018 NFL Draft by the Dallas Cowboys. 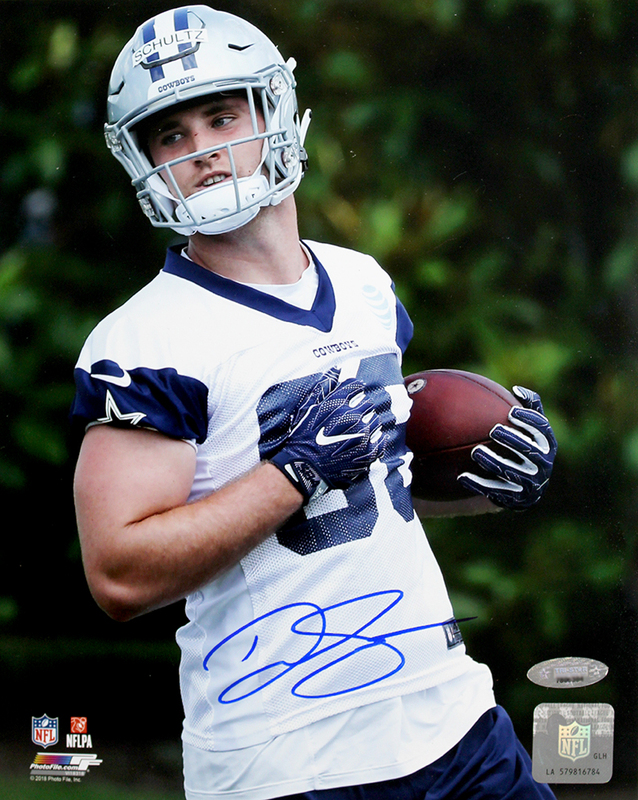 This Dallas Cowboys 8x10 photo has been hand signed by Dalton Schultz. Each autographed photo includes authentication from TRISTAR Productions.